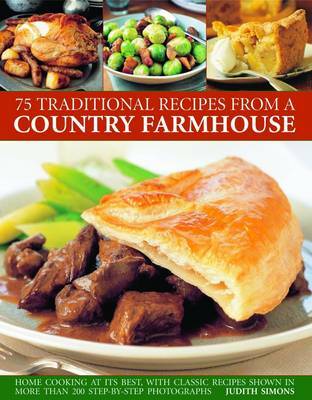 This is a heartwarming collection of over 70 traditional recipes, fresh from the country. It offers easy-to-follow instructions for each recipe, with step-by-step photographs. It includes eight delicious chapters: Soups & Starters; Vegetables; Eggs & Cheese; Fish & Seafood; Meat & Poultry; Desserts; and, Baking and Preserves. There are many traditional family favourites, together with new twists on classic dishes. Every finished dish is photographed in full colour. In this volume, you will find recipes for every season and every occasion - soups, vegetable accompaniments and vegetarian dishes, pies, casseroles, stews and roasts, as well as fruity desserts and cakes, bread, chutneys and jams. Whether in the city or the country, special occasions should be celebrated with a special meal. This book brings the flavours, aromas and ease of preparation found in healthy, traditional country dishes to even the city kitchen.